The story starts with my husband, Rev. 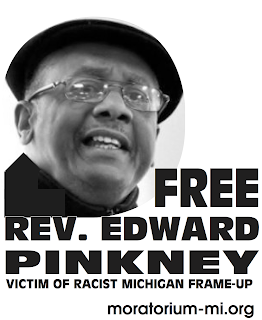 Edward Pinkney, attempting to stop forty years of corruption in the Berrien County, Michigan courthouse from 2000 to 2007. His court observation was even recognized by the court during a hearing. He was in every courtroom monitoring the proceedings more than 1800 times during those seven years. The Black Autonomy Network Community Organization(BANCO) picketed the courthouse every Tuesday for six years. Berrien County sends the highest number of people to prison per capita - more than any other county in the US. My husband wanted to find out why. are facing are Whirlpool Corporation, U.S.Rep Fred Upton (who hates blacks), Mich.
Gov. Jennifer Granholm, former Pres. Bush, and the 500 million dollar Harbor Shores developers. he is tireless, as a speaker he is inspirational, as a man he is honorable. He has mastered the art of tough love in his dealings at the courthouse and has a smile and a joke for everyone. He tolerates the countless impositions on his time and health including intimidation and numerous attacks by police, numerous hearings, two lengthy trials, and recently, a hellish year in prison. 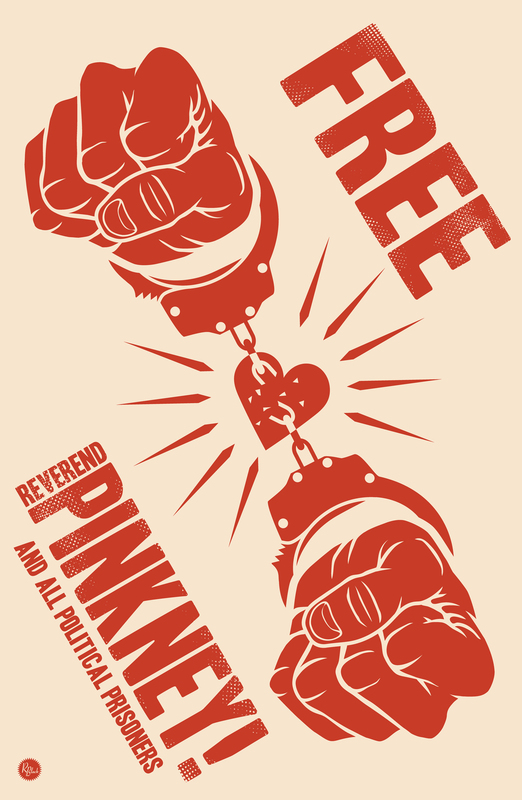 He was sent to prison for quoting the bible - the very first pastor to be sent to prison for quoting the bible in the history of the United States. city of Benton Harbor which my husband and others opposed - leading to the recall election of a corrupt city commissioner. When the corrupt commissioner lost the election, Judge Paul Maloney set aside the election without enough votes to do so when the underlying criminal charges were brought against my husband. Maloney and Butzbaugh are two of the most corrupt judges in the history of the US. Allow me to offer you proof, in this case, concerning Butzbaugh. My husband was denied due process and the right under state law to an impartial decision maker because the trial judge, Alfred Butzbaugh, had a financial interest in the development of Harbor Shores. This huge development project is what motivated my husband to seek the recall of the corrupt Benton Harbor city commissioner Glen Yarbrough.